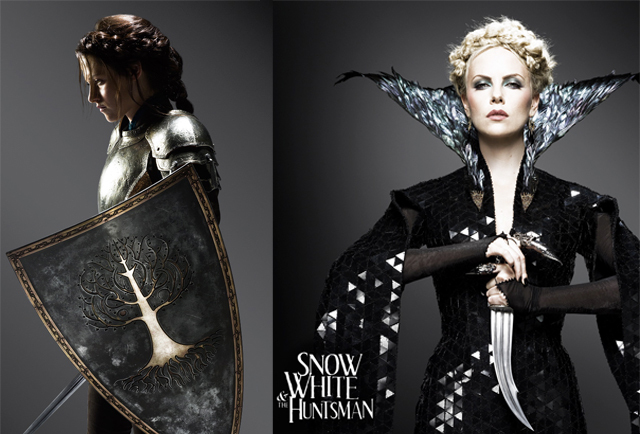 Speaking of Charlize, the new Snow White trailer is out, and it looks promising. I preferred the evil Queen to Snow White in the original, and probably will here too, but a Snow White in armour is an idea I can get behind. Also, the braids on both women are stunning. The costume, hair and makeup people must have had a lot of fun with this. Posted by la femme at 2:54 p.m. I cannot wait for this :-) I think Charlize looks amazing!